Addis Ababa (HAN) 12 August, 2014 – Scientists and Geological news. In September 2014, the Natural Environment Research Council will launch a major five-year programme to study the volcanoes of Ethiopia’s Great Rift Valley. The project team contains core investigators from seven UK institutions and several international partners, as well as a network of local collaborators including Addis Ababa University and the Geological Survey of Ethiopia. The main goals of project RiftVolc are to establish the eruption history, understand the current activity, and assess the potential threat of an eruption. The volcanoes we will be studying also have enormous potential for geothermal energy. Ethiopia aims to increase its geothermal output by 300 times by 2030. Much of this will be from power plants at two of volcanoes – Alutu and Corbetti – partly as a result of a US$4 billion investment by Reykjavik Geothermal. So, we will also be working with the international geothermal industry to enable them to develop this resource safely and efficiently. The current population of Ethiopia is about 100m, roughly half of whom live within 100 kilometres of a volcano. A recent report for the World Bank ranked 49 of Ethiopia’s 65 volcanoes in the highest category of hazard uncertainty. This effectively means that around 50m people are presently exposed to unknown levels of risk from volcanic activity. 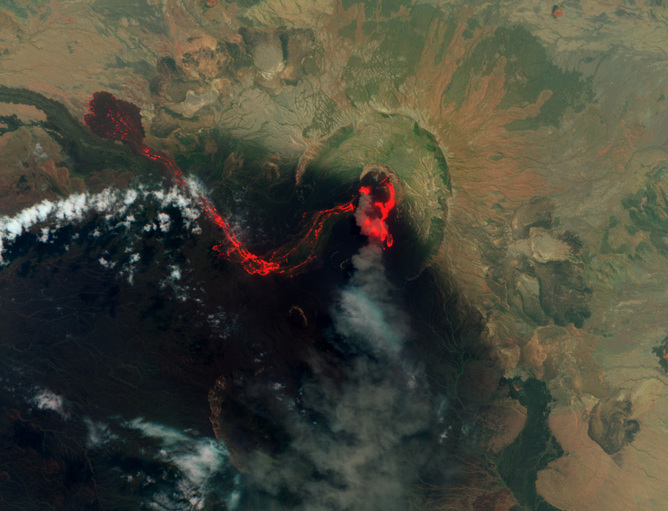 Ethiopia’s main trade route runs through the densely populated Rift Valley region – a key locus for volcanic activity. This area is also home to the country’s flower-farming industry, its third most valuable export. Clearly, a large eruption would physically devastate the immediate area, but could also have a destabilising effect on the social and economic fabric of the country. By the end of our five-year project, we aim to have produced the first dated catalogue of eruptions in a continental rift. By using the latest technologies, we will have modelled the rise and storage of magma, which can then be compared to other tectonic settings. We will also have characterised the sources of volcanic unrest, and developed new methods for the assessment of volcanic hazards, which are applicable in data-poor regions. Roughly 10% of the world’s volcanoes lie in regions where tectonic plates are being pulled apart, including “continental rifts” on land. 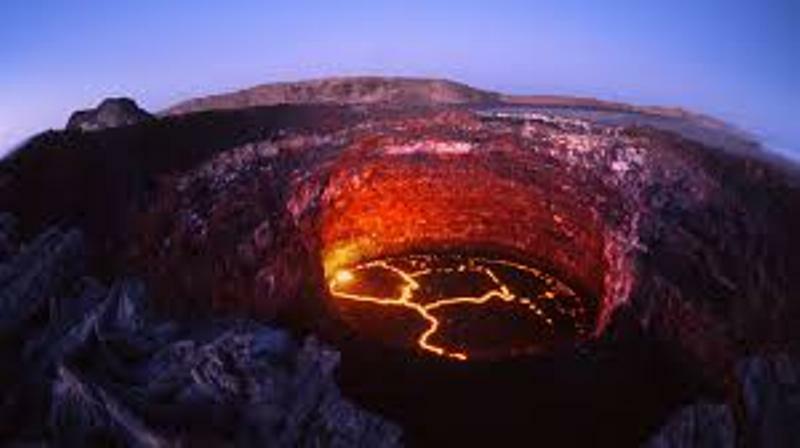 These volcanoes are significantly understudied, compared to those located where plates come together, like the Pacific “Ring of Fire”. Understanding the processes that occur as a plate stretches, thins, and eventually breaks is an important part of plate tectonics. Our previous projects in Ethiopia have highlighted the role magma plays in weakening the plate. 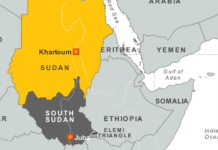 Most recently, we were researching in the Afar region, where a seismo-volcanic crisis affecting a 60 kilometre long rift portion began in September, 2005. The Afar region is hot, dry and dusty, and the rift is a stunning scar” running through it, fashioned by volcanic activity which breaks the rock as magma squeezes into it, causing deep fissures and tall cliffs, before it eventually cools and solidifies to build new crust. While our uncertainties decrease as we study these explosive natural hazards, our perception of the risk can increase, and unforeseen events can occur. As we were studying one part of Afar in 2011, Nabro volcano in another part of the region erupted; a timely reminder of the potential threat to the region. Despite lying in a remote and sparsely populated location, with no historical record of eruption, it claimed the lives of 32 people and displaced 5000 more. Prior to its eruption, the volcano was believed to be dormant. 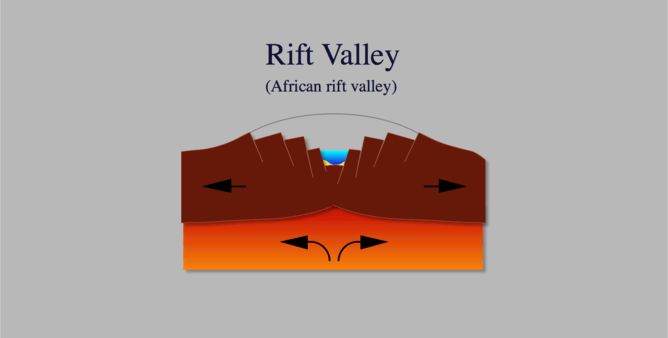 As a result of earlier work, we understand how rifts form, and how magma is generated. But we still have a lot of questions about where and how magma is stored, how it gets to the surface, and what determines the size and style of the resulting eruption. In recent years we’ve detected signs of underground activity at many of Ethopia’s volcanoes. Satellite radar surveys have shown ongoing uplift (upwards) and subsidence (downwards) movement of the ground surface. Analysis of seismic data has indicated clusters of earthquake under many volcanoes. But we do not know what processes are causing these disturbances, or what the potential threats related to an eruption might be. The main part of the East African rift in Ethiopia is the best place to search for answers, as it has a wide range of volcanic styles, including towering peaks, fissures, flows of volcanic glass and lines of cinder cones. For example, the 28 kilometre long Lake Shala is actually the hole – known as a “caldera” – left by one of the largest eruptions ever to happen in East Africa.